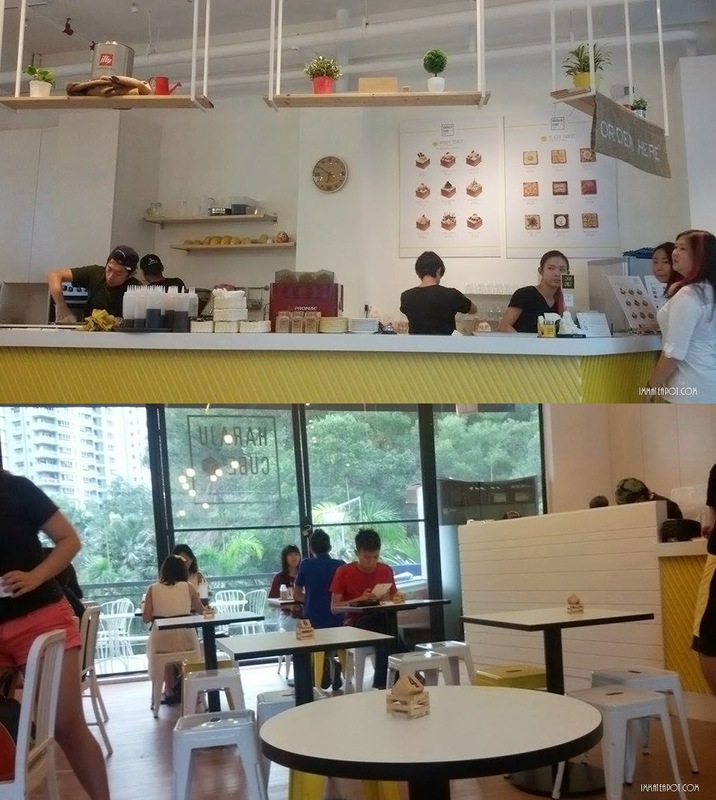 After all, here's the recent trend of food, the Haraju Cube which I have paid a visit with my brother last few weeks. It's gonna be short that I gonna spam with all pictures haha.Pictures describe all. The resolution of pictures are kinda bad, as yea, I forgot to bring my camera along. The place is cozy and spacious enough to fit around 25-30 people with bare estimation. So, please do visit during weekdays, or else you gonna queue. There is an open air kitchen and you can have some candy eye on the recipe. We have ordered the Strawbelicious, priced at RM25.90. It's so huge and just nice for two person sharing one. The toast are topped with some strawberries slices, nuts, a scoop of ice cream and whipping cream. 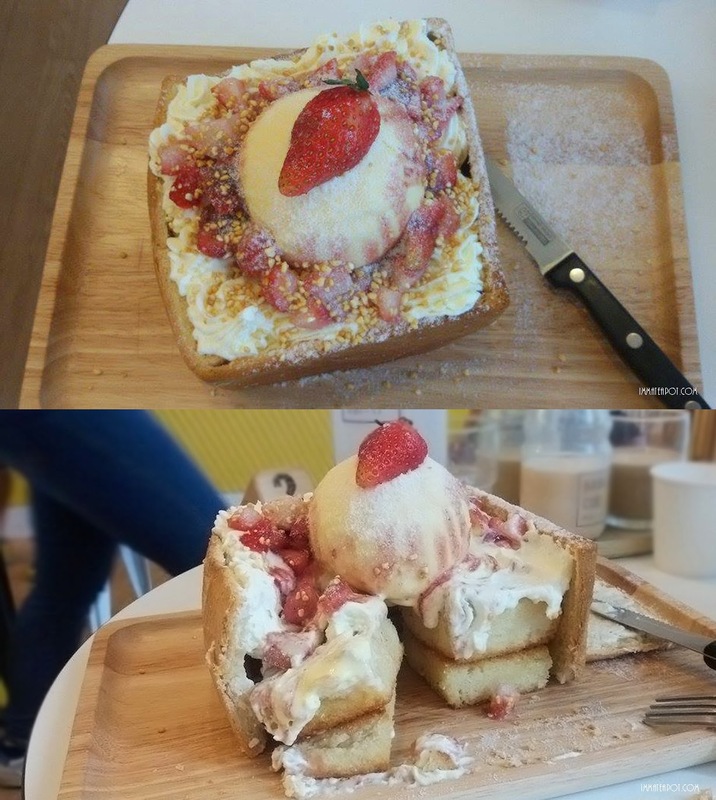 Although the toast is fully covered with whipping cream yet no worry, they taste just fine, not too greasy nor sweet. By cutting the edge of toast, you can easily remove one of its side. 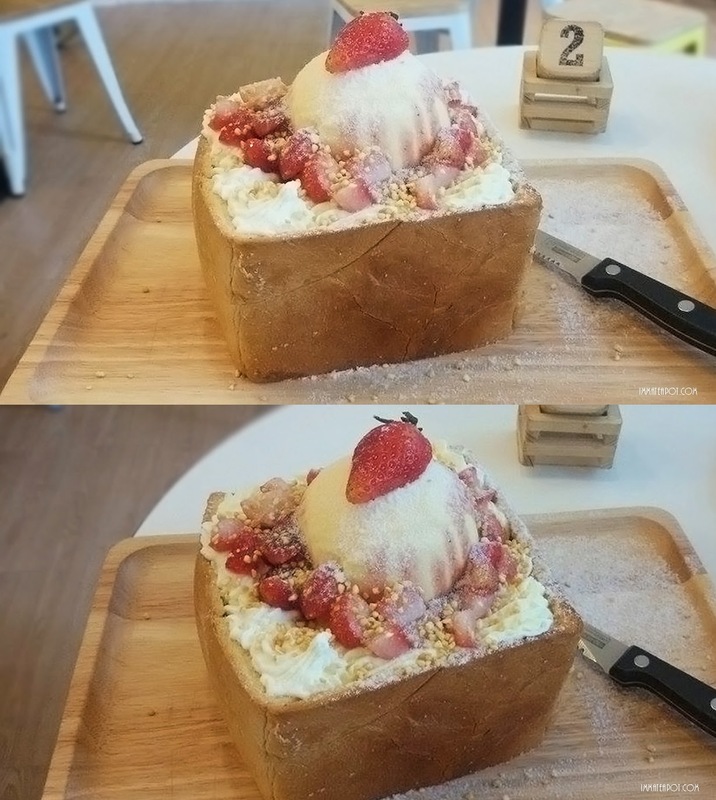 Surprisingly, at the inner part of the toast, there are 8 pieces of cube shaped mini toasts that layered with honey! 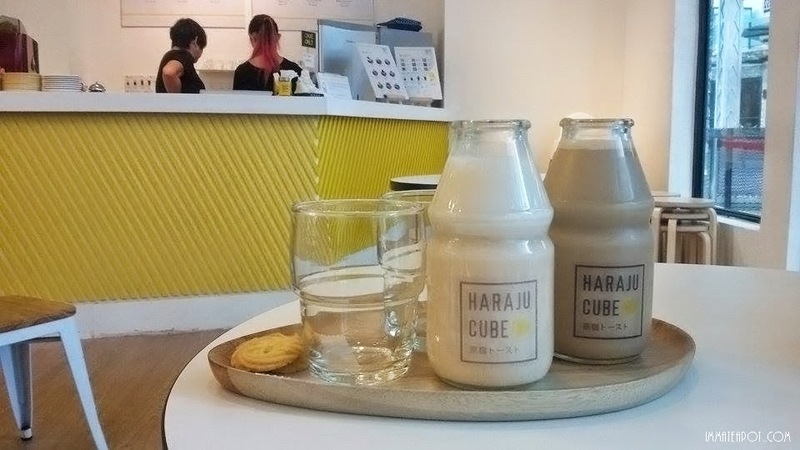 The signature Haraju Milk for both fruit and mocha flavor, priced at RM8.90 each. It comes with some treats of butter cookies. The taste of fruit milk isn't too sweet nor splashing you with all milky taste, yet refreshing and light, with some fruity after taste.